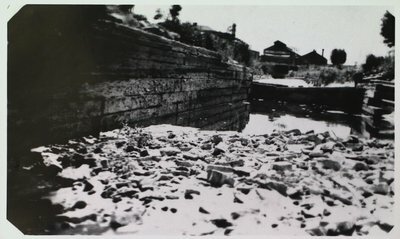 A photograph of a wooden lock from the First Welland Canal. Hayes Steel is in the background, looking towards Thorold, St. Catharines, Ontario. Date Unknown.